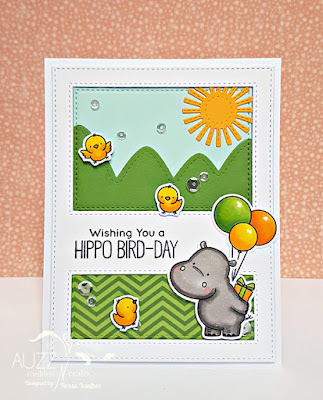 This month we are sharing projects featuring animals on the Auzz Trinklets and Crafts blog. 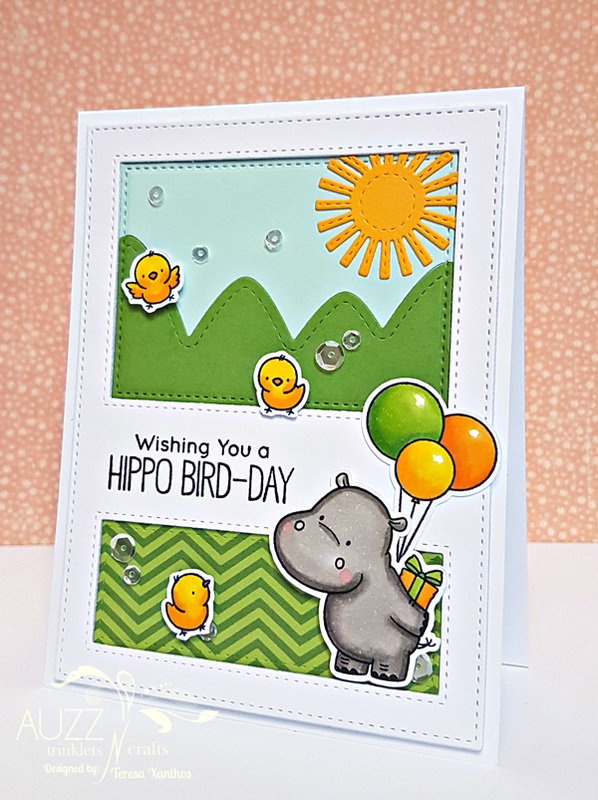 Many companies have brilliant creature stamps and Neha has numerous styles of animal stamps in the store, from Katzelkraft critters to Clearly Besotted beasties to Lawn Fawn fauna - you are sure to find something to suit your style! 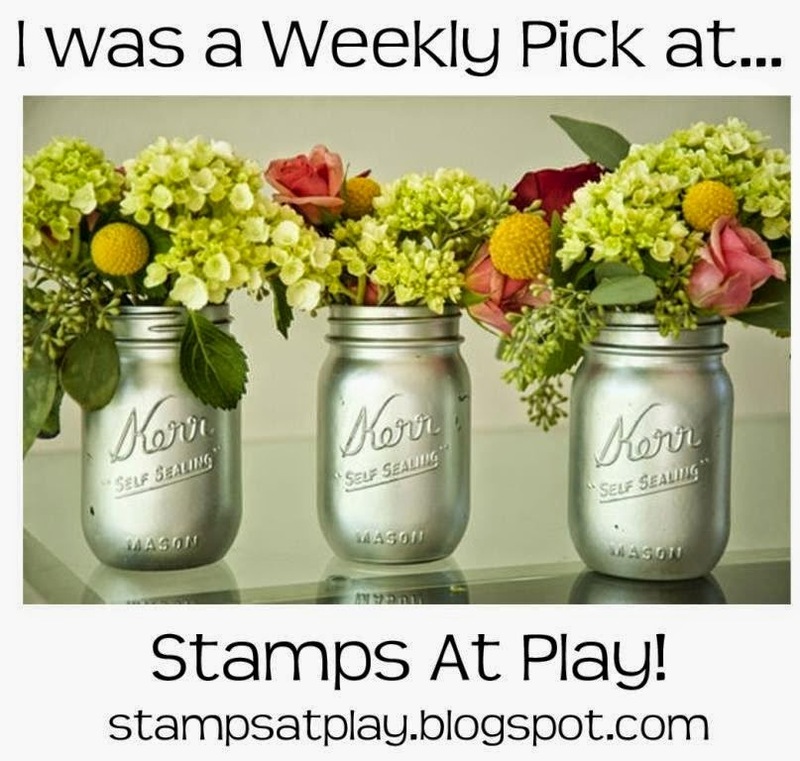 Today I am again working with stamps from one of my favourite companies, My Favorite Things. I die cut a frame with a Sizzix Big Shot Machine from My Favorite Things Dienamics Stitched Cover-Up Companion - Vertical four times from Neenah Classic Crest 80lb Smooth Solar White Cardstock and adhered these together on top of each other using Ranger Multi Medium Matte. 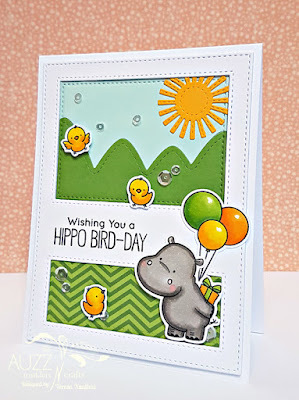 I stamped the sentiment from the new My Favorite Things Happy Hippos on the centre of the frame with Versafine Onyx Black Ink and then adhered the frame to the card base. I used the same die to cut a small rectangle piece from My Favorite Things Calm & Cozy Chevron 6x6 Paper Pack to fit inside the bottom rectangle of the frame. I first adhered it to one piece of Neenah cardstock left over from the frames I cut earlier and adhered it in place to the card base. 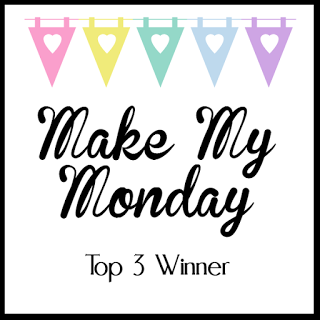 I then diecut a piece of Simon Says Stamp 100lb Cardstock - Green Apple with Lawn Fawn Stitched Mountain Borders and a piece of Simon Says Stamp 100lb Cardstock - Seaglass with the same die. I pieced these together, adhering them to one larger rectangle piece of Neenah cardstock from the top of the frame. I then cut away the overhanging pieces of coloured cardstock with Tim Holtz Kushgrip Scissors and placed the rectangle back into the larger rectangle of the frame and ran it through the Sizzix Bigshot Machine again in order to have the stitched edge on the rectangle piece. I adhered this in place onto the card base. I cut the sun from the Simon Says Stamp 100lb Cardstock - Sunshine with the Mama Elephant Stitched Sky die set and trimmed the rays off a little at the top and on the right using a mini guillotine, similar to the Tonic Studio guillotine. This enabled me to tuck it snugly into the corner inside the frame. 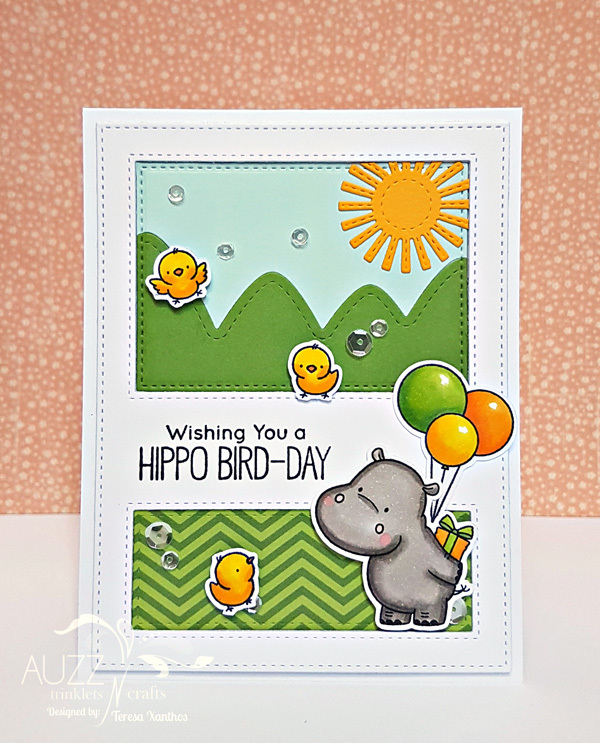 I then stamped the hippo, birds and balloons from the My Favorite Things Happy Hippos in Memento Tuxedo Black Ink, using my Misti Stamping Tool onto X-Press It Blending card. I coloured these using Copic Markers and cut each image using a Brother Scan n Cut as I did not have the coordinating dies on hand. 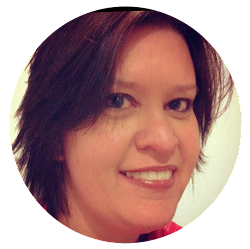 I placed these onto the card using 3M Scotch Double Sided Foam Tape to add dimension. I completed the card by adding Pretty Pink Posh Sparkling Clear Sequins - 4mm and 6mm.